Tutorial Texture Compression - S3TC - DXT1/5. The compression of texture S3TC is a destructive compression (with losses) rather like the jpg format, destructive in the sense that a part of the information contained by the non compressed texture is definitely lost after compression. For textures containing color data (color-map or classical image) this loss of information is not a problem, but for textures containing normal vectors (normal-map) this could be more problematic. We are going to see the problems caused by texture compression with normal maps and some techniques to resolve these problems. Figure 1 shows the rendering of the accompanying project (available at the bottom of the page). 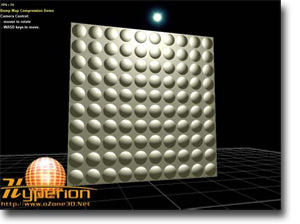 We will use the Demoniak3D platform in order to test the various techniques to render the normal-maps. 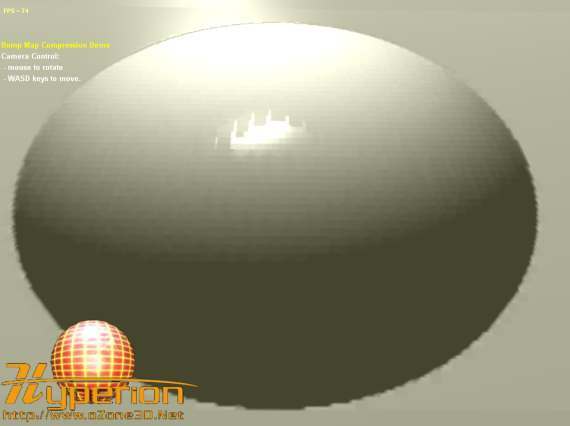 Then load the xml bump_map_compressed_non_normalized.xml file. This code loads a compressed normal-map (bulge_DXT5.o3tc) with the O3TC format. For information, do not forget that the 03TC format possesses practically the same characteristics as the DDS format. 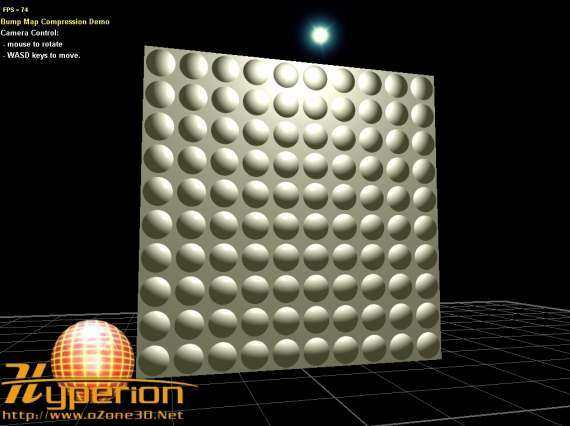 It supports the DXT1 and DXT5 compression and the mipmaps, in short, the essential elements for texture compression. 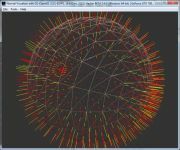 The O3TC format is created with the DXTViewer tool. See part 4 for more information on O3TC format. A normal-map in DDS format will give the same result. The shader used is always the same. We clearly see the damage due to compression. The specular highlights are very ugly, a sort of grid pattern has appeared. The grid pattern is due to the DXT algorithm which uses internally blocks of 4 x 4 pixels. Picture 4 clearly shows such a block. 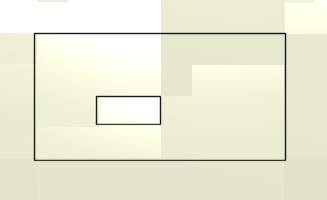 The large rectangle marks the block and the small rectangle marks a pixel. This picture was obtained by suppressing the bilinear filtering by default: it suffices to insert the filtering_mode="NONE" attribute in the texture element. It is not really very visible in picture 4, but perform the test by disabling the texture filter and you will easily see the blocks. Page generated in 0.0032498836517334 seconds.